At the company I work for we decided to split one gigantic TFS repository into several smaller ones. We use on prem TFS server which supports multiple git repositories within one project, thus allowing us to track all work items in one place. Unfortunately it’s not the case with TFS repository - you can have just one per project, at least with TFS 2015 (at least prior update 1). We had the following requirements for new repos: when we split repository we wanted to preserve all version history for specific file/folder/sub-folder, we wanted to preserve association of commits with work item numbers. Here are steps we took. I’m sure there many solutions, here is just one of them. Depending on repository size it might take a lot of time to get entire version history, so keep that in mind. 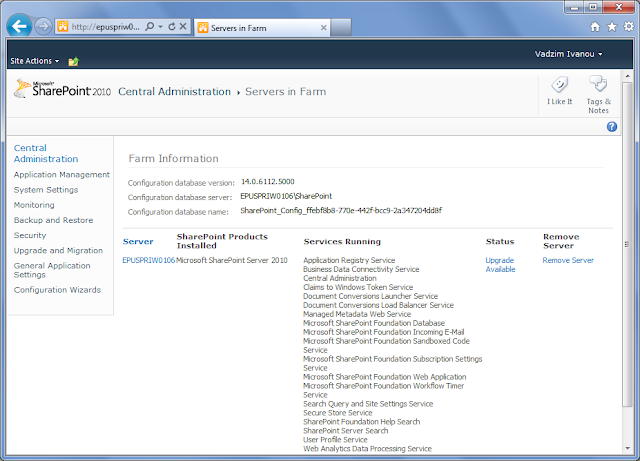 So new repository is ready, just push it to your new location. There are many tools, libraries and extensions for Visual Studio to do front end web development. There are NuGet packages that can help combine and minify JS and CSS (Microsoft Ajax Minifier), sass and less transformers (BundleTransformer.SassAndScss, BundleTransformer.Less), reactjs integration (React.Web.Mvc4), angular templates bundling (AngularTemplates.Compile). But there is another very efficient way to do front end development using nodejs, gulp and bower. In my experience it feels more natural than NuGet and MSBuild. 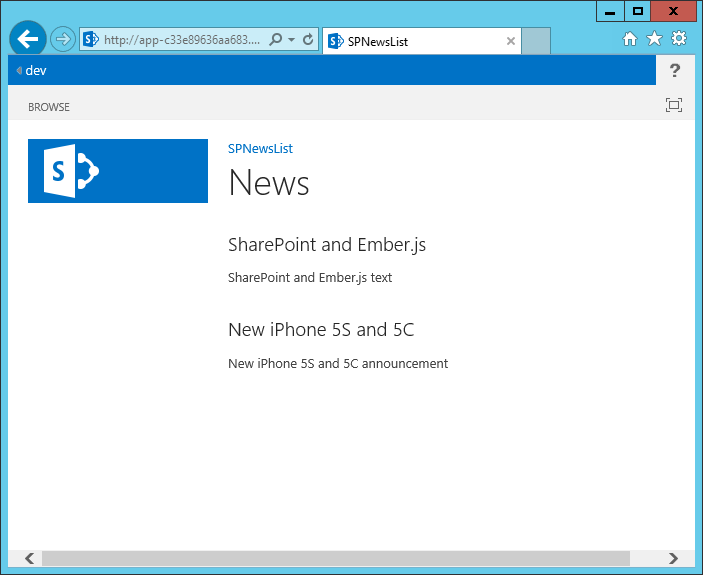 Now we’re ready to start using these tools with ASP.NET MVC. Gulp (http://gulpjs.com) allows to easily build front end assets: convert sass, less to css, combine and minify css and js, lint them, run unit tests, optimize images and much more. There is a huge ecosystem around it and many libraries that can do pretty much anything with your assets. As an example let's combine and minify JS and CSS. You'll find combined/minified css and js files in published folder as well as modified .cshtml files. This technique allows to get rid of ASP.NET MVC bundles that are going to be deleted in the next version of MVC. See this github issue: https://github.com/aspnet/Mvc/issues/1577. Please find working example of ASP.NET MVC project with configured gulp and bower support here: https://github.com/vadimi/gulp-aspnet-sample. Run npm install, bower install, open solution in Visual Studio and hit "Publish". I tried to do it in ASP.NET MVC application recently, but haven’t found any good solutions. There are some nice grunt tasks (for example grunt-angular-templates) to combine AngularJS templates, but I didn’t want to introduce nodejs dependency and implemented an ASP.NET MVC bundle that does pretty much the same thing. 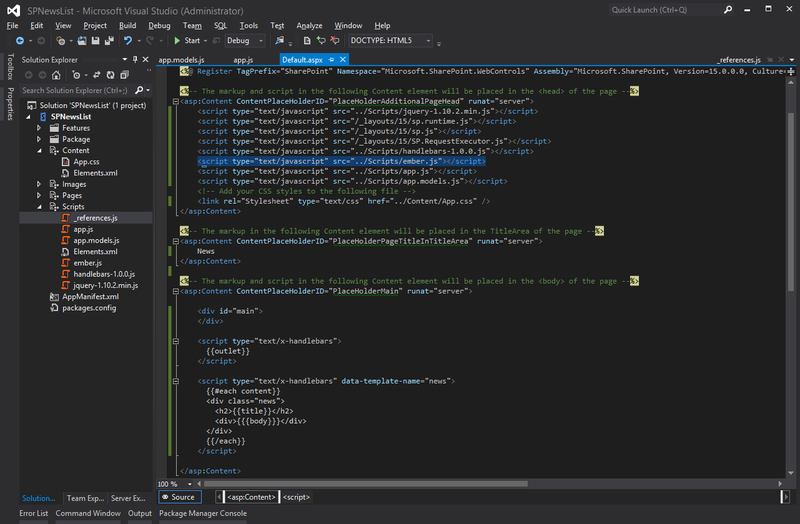 Maybe in the next version of Visual Studio grunt/gulp integration is going to be first class citizen, but not for now. Please note that it will generate combined result only when bundle optimizations are enabled (BundleTable.EnableOptimizations = true, or "debug" attribute of "compilation" section in web.config is set to false). Ember uses pretty strong conventions for Routes, Controllers and Views. This allows to hide lots of code behind as Ember generates it for us. For example even if we not define controller it will still be generated which is pretty cool I think - we can focus on implementation of our the logic rather than doing some boilerplate code. Please note that I added Condition="'$(Configuration)'=='Release'" condition to both targets, so only Release version of WSP will not contain excluded files, Debug version should stay untouched for development mode of course. You can just include it in your project, import it through <Import Project="build-release.targets" /> and modify ScriptsDir, ManifestPath, ExcludedFiles variables according to your project needs. ErrorCode<NonDomainNWService>:SubStatus<ES0001>:Service running under Network Service account in workgroup environment is not supported. 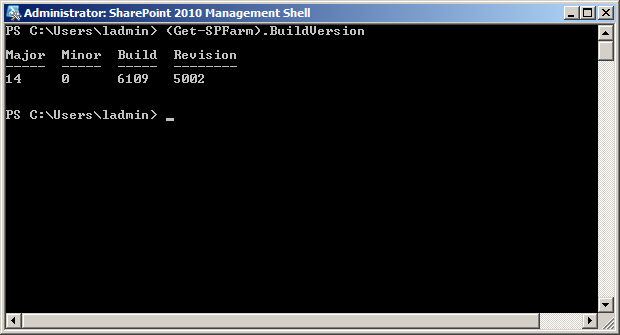 And restart psconfig in normal mode to finish configuration. 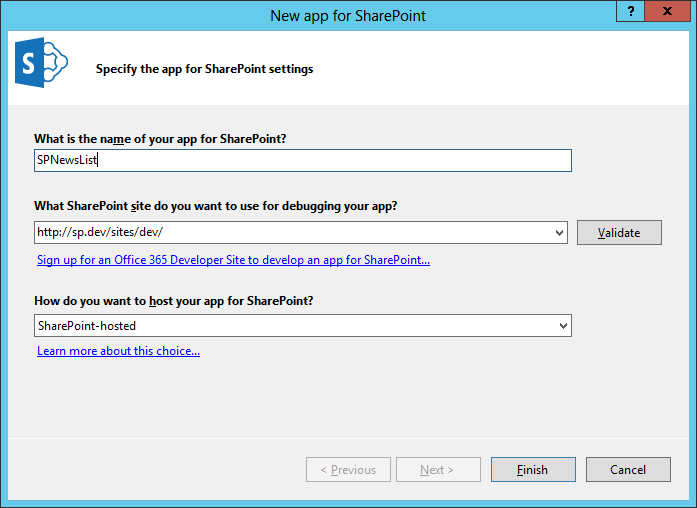 Most likely you'll have some issues with default content population, but SharePoint configuration step will be already completed. So just create new site collection and enjoy. 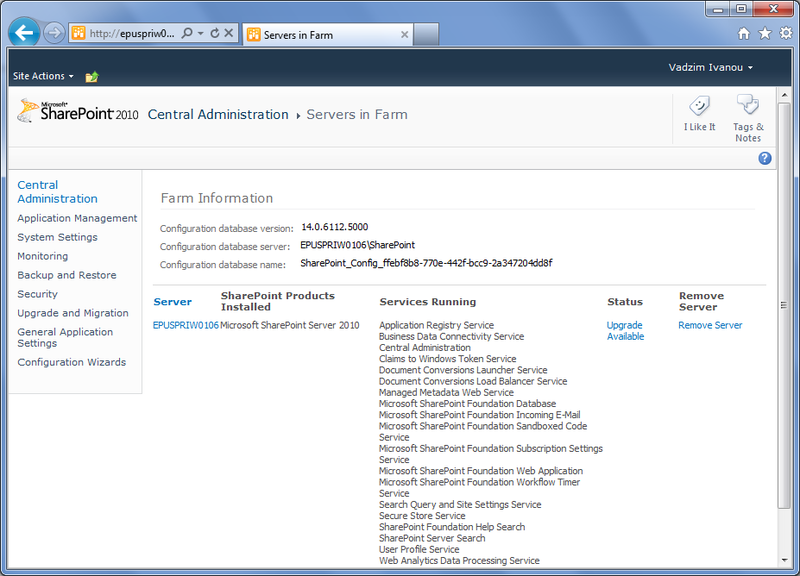 It's very common task to find out the version of current SharePoint farm. I typically use two approaches.